Add new deal and its win probability, change deal owner, leave notes on deals and assign TODOs to yourself in order to follow up regularly. Too add new deal, hit the big + button while in the Sales module. Name the deal something descriptive (like "Doggy daycare website design") and select a client company. What are the chances for winning this deal? Select a probability % from the drop down menu. Use your gut here, as there's never a scientific way to define this. The next thing to do is to define the currency for the deal. This is the currency you'll eventually be invoicing your client in. Also, all financial information will be displayed in this currency. Add people to the deal that you want to notify when something happens - like when the deal changes status, you win the deal, you lose the deal, etc. Don't forget to hit the Create deal button! Once the deal is created you set up financials by adding services. You can also mark the deal as won, mark it as lost, or change its status in the sales pipeline. 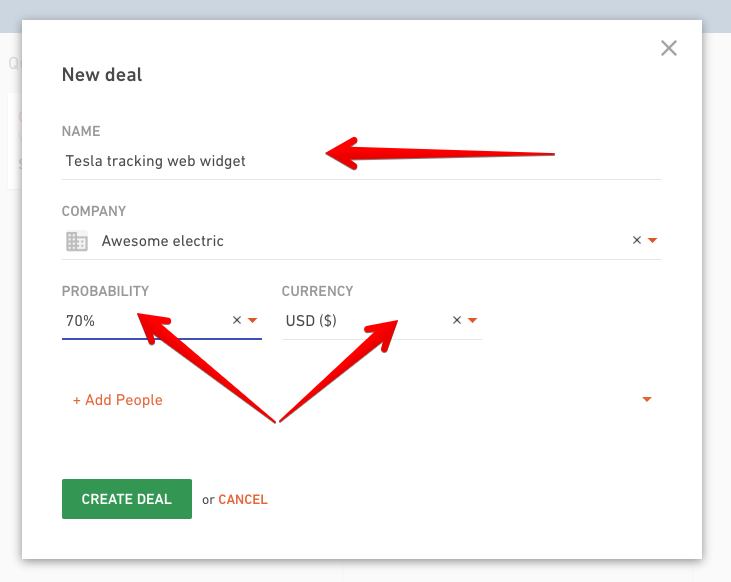 Go to the "..." menu and select Edit deal if you want to change the name, probability or owner for that deal. Click on the Currency link if you need to switch the deal to another currency or change the date. Changing the date affects for which time period the revenue and costs from this budget are reported in. Also, your team can only track time to this budget after this date. Manage subscribers for this deal. Add more people or remove someone from a deal. When you remove subscribers they will no longer receive any notifications for activity on this deal. An important part of an effective Sales process is moving deals through your Sales pipeline by defining next steps. It can be scheduling a meeting, sending a proposal or following up on a particular status of a deal with a client. To effectively manage that use TODOs tab. 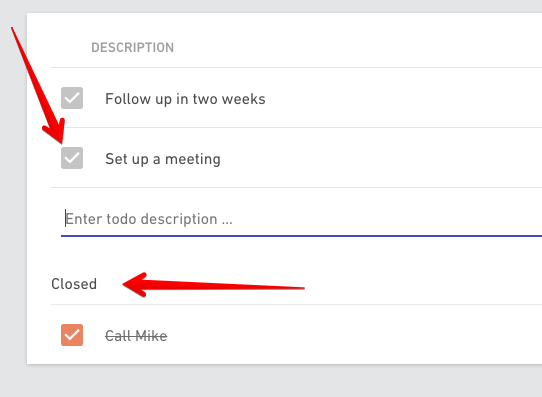 Write down a brief description, select a due date from the calendar and assign the TODO to yourself or someone else. If you need to change something just click on the description and start typing. When you’ve completed the action in question, close it by clicking on the checkmark. 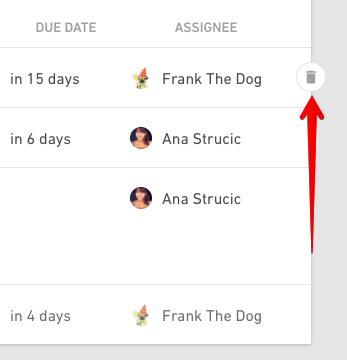 If you want to delete an entry completely, hover over the item and click on the Delete action. Click on the Activity tab to add notes and get an overview of everything that has happened related to the deal. If you want to add a note or discuss something with other people involved with this deal (hint: Subscribers) write it into the field on top. You can also @mention people, add links or attachments and more. Subscribers and people you mentioned will get a notification that the note was added to this deal.